The App Store was and is a revolution: A single place on every iPhone and iPad where you can find every app and every game for iPhone and iPad. From it, you can browse or search for new apps, download and buy new games, add to your wishlist, share and send to friends and family, redeem gift certificates and promo codes, and get refunds when and if you need them. And here's how to use it! Apple has announced a number of changes coming to the App Store later this year with the release of iOS 11. This starts with the all-new design for the store. It now features new, more focused tabs, including the new Today tab, which tells you all about essential apps and games, while also offering app tips, tricks, and more. Here's everything you need to know. Getting your first iPhone or iPad is just the beginning. Thousands of developers have made over a million apps and games that can totally transform the device your holding in your hands. With each new app it can become your constant Facebook friend, your gateway to Snapchat, a tool to learn new languages, a way to brush up on math or science, your ticket to car services, a personal scanner, a way to edit documents on the go and, of course, an incredible portable gaming console. All you need to do is get started! While the App Store makes it super simple to download any app you want to your iPhone or iPad lickety split, you can also add them to your wishlist so you can download them later, and share them with your friends, families, and colleagues so they can download them too. You can even see other apps like the ones you've already downloaded! 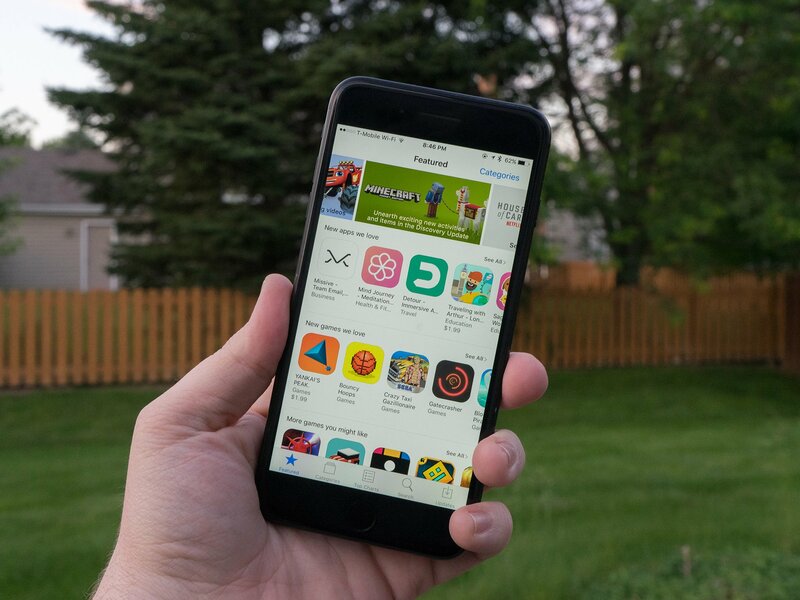 The App Store is built on iTunes, and just like iTunes you can use it to both send and receive gift certificates, and gift and redeem apps and games. And you can do it right from your iPhone and iPad! If you experience a problem with any of the apps or games you've purchased from App Store you can request a refund directly from Apple. You'll need to have a valid reason for the request—it's not meant to be a way to get free trials or short term use— but if you buy something by accident, buy the wrong thing, or get the wrong thing, it's how you get your money back. If you have any trouble using the App Store, or any questions that haven't already been answered, please let me know in the comments!